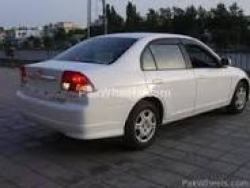 urgently want to sell, plz visit, check and then discuss. 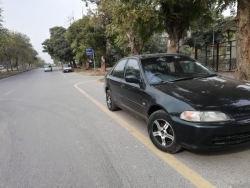 Car copy is duplicate but all documents are clear from Islamabad excise office, AC 10/10, heater 10/10, gas kit is properly fitted. 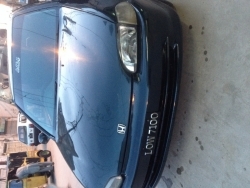 no major accident, exterior color, and bumper need repair and color otherwise no engine work pending in car. A family used the car. 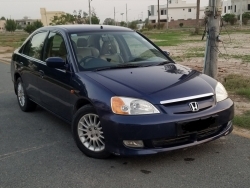 A1 Engine Condition, Alloy Rims, AC-heater working, DVD Player, Log lamps, day light, good interior, CNG-Petrol both working, A reliable family car. 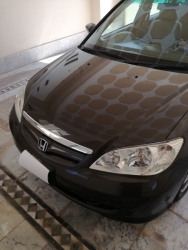 modified car..1600 CC..every thing is working properly no sny fault...ready to drive.tokens clear..Book is Duplicate..
Honda Civic (Model: November 2004) for sale in immaculate condition. * First Owner. * Personally driven and maintained (not by drivers). * Fully Honda Workshop maintained. * Genuine Honda alloy rims. * Brand new Yokohama tyres. 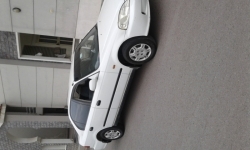 Only 8000 km driven * Spotless and clean interior. * Original seat fabric practically untouched due to seat covers from beginning.. * Engine never opened even a single time except for periodic maintenance like tappet service, etc. Can be confirmed from Honda Classic service manager. 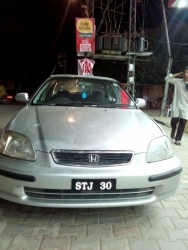 * Islamabad Registration number. * Beautiful and unique colour. * Driven only on petrol. Slight dent on rear left fender. Price is slightly negotiable. 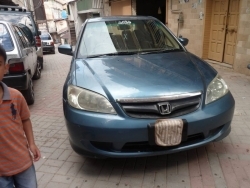 All interested buyers are requested to contact and are welcome to see the car personally at any suitable time. Exellent condition. Owned by Army Officer. Originil file available. Price negotiable. Beautiful and well maintained car. Pleasure to drive. 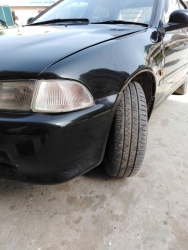 Engine is in immaculate condition, soundless car. CNG kit also installed. URGENT SALE! ! ! ! ONLY SERIOUS BUYERS MAY CONTACT. 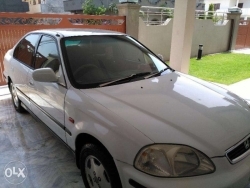 Car will be sold on first good offer.